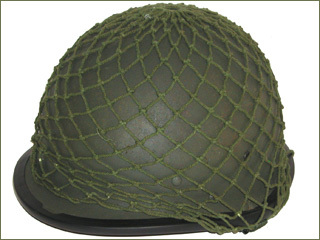 Indonesian utilized a combat fibre helmet design throughout the 1990's. These helmets were used in various military hotspots such as Timor, Ache, Irian Jaya and Ambon. 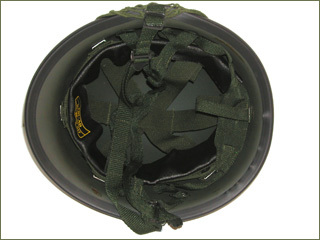 These helmets feature an outside rubber bumper that is there to protect the rim of the helmet. This unissed example is market TNI-AD(Indonesian Land Army)...98/99 (Mfg. contract issue dates).